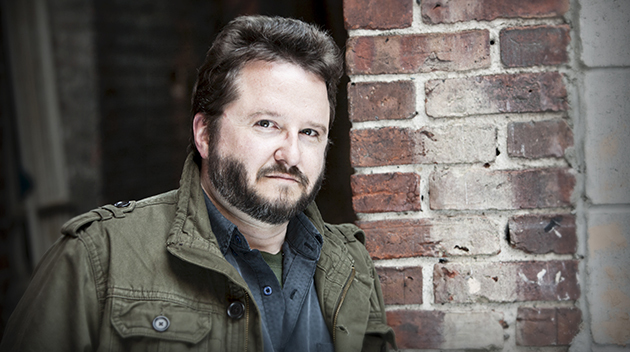 Robert Wiersema will be joining UFV as new writer-in-residence for the winter semester. 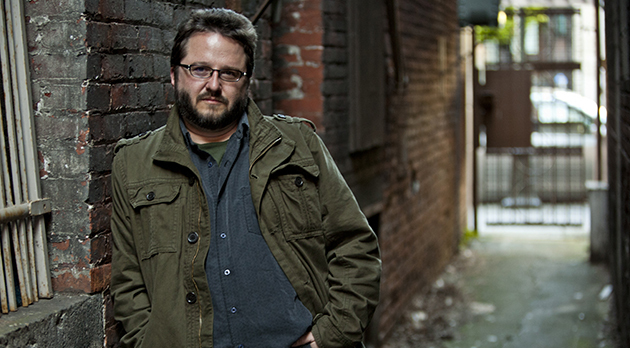 Wiersema is the bestselling author of Before I Wake, Bedtime Story, and four other books. One of Canada’s foremost book reviewers, his reviews appear regularly in the Toronto Star, the Globe and Mail, Quill & Quire and other magazines, and his Beyond the Bestseller column is featured biweekly on CBC Radio. Born and raised in the Fraser Valley, Wiersema now lives in Victoria, BC. He is a professor of Creative Writing at Vancouver Island University, and teaches at Camosun College. There will be a welcome celebration on Thursday, Jan 17, at noon in Abby B121. How do you feel about being named writer-in-residence at UFV? I’m absolutely thrilled to be writer-in-residence at UFV. As a working writer, I love being part of a community, and I think the next few months will provide an opportunity for that, as well as providing an opportunity for writing and revision. It feels, well, especially special, in that I grew up in the Fraser Valley, so this feels a bit like a homecoming for me, though when I was growing up, Abbotsford was really the Big City for me. What do you want to achieve with our students and our community during your time with us? I think “community” is the key word here. I want to share my love for the written word, for books, as best I can, as well as any information (and dare I say inspiration) as much as I am able. It’s a reciprocal relationship, though, a conversation: I find these encounters inspiring and informative, valuable to my own work, and my life. That community is galvanizing and powerful, I hope on both sides of the conversation. You grew up in the Fraser Valley, in Agassiz. How did your Fraser Valley experience affect and inform your development and perspective as a writer? Did you have any interaction with cultural organizations such as the Harrison Festival? Growing up in Agassiz provided me with a world, one which I have returned to often in my work, both overtly and somewhat surreptitiously. The manuscript I am revising during my residency is, in fact, set in Henderson, the fictional analogue to Agassiz which I have visited repeatedly in my work (though not, to this point, in a full-length novel), but it goes deeper than setting and place. The people I knew, growing up, have become the archetypes for many of my stories, ghosts of one world crossing the veil into another. The effect is inescapable, and one that I would be loath to lose. I didn’t have much involvement with Fraser Valley College growing up, but I was a regular at the Harrison Festival. One of the formative events in my literary life was a reading by WP Kinsella at the festival. I was probably 11 or 12 years old, but I’ve never forgotten it, and some of the things he talked about, in terms of story, have shaped my approach and work. You are also well known as a book reviewer. Will you be offering any insight into this aspect of a literary career during your time here? Or do you want to provide some via this interview? I will likely be making this part of the residency, in more cogent form, but to boil it down here: the two best things I did as a writer (and as a working professional writer) were to work as a bookseller and to write reviews. The two fields both complement and conflict with one another, and walking that dividing line provided me a wealth of insight, depth and understanding that I don’t know I would have acquired any other way. Are there any public events coming up as part of your residency besides the Jan 17 event? There are, but I’m not sure of the dates, or of the precise nature of those events just yet. Stay tuned!